According to the Bureau of Labor, scissor lifts are responsible for eight workplace fatalities each year. Compare this with Europe, where there have been five scissor lift-related fatalities within the last four years. While this is a small fraction of the fatality rate in the United States, it’s still unacceptable. The Health and Safety Executive has recently issued a safety alert focusing specifically on the need to regularly maintain, inspect and test safety equipment. The HSE warning applies to operators of scissor lifts, scissor lift engineers, and rental and training companies. However, all it can take to prevent accidents is a few Scissor Lift Safety Tips. According to a document from The Center for Construction Research and Training, the top causes of scissor lift accidents are falls, lift tip overs, struck by, and driving with the lift extended over 15 feet. In all of the European incidents described above, the scissor lift overturned. Investigators identified two systems that appeared to be at the root of these. One was the lift/drive interlock, which has a two-fold function. One, it prevents elevation above a specific height without stabilizers; two, the lift/drive interlock prevents driving above this height with the stabilizers in place. The second faulty system identified in the fatal accidents was the oscillating axle. This keeps the lift from being driven over uneven ground while the platform is in the elevated position. While these various causes of scissor lift accidents, with the top being tip-overs, may seem complex and unavoidable, they are completely preventable. Comprehensive scissor lift certification training teaches workers all of the scissor lift safety tips they need to avoid hazards from causing accidents. Training covers how to avoid each of the accidents that are common with scissor lifts, and teaches specifically how to avoid injuries, equipment damage, and fatalities. Scissor lift certification also teaches how to use fall protection methods and tools properly. The combination of in-depth operational knowledge with fall protection training is the most effective accident prevention protocol. With the goal to prevent scissor lift accidents and reduce the number of injuries and fatalities that occur on worksites across the country, OSHA has created a few categories for using scissor lifts safely and keeping workers away from harm. These scissor lift safety categories are Fall Protection, Stabilization, Positioning, Maintaining Scissor Lifts, and Training for Operators. Before operating a scissor lift, employers are responsible for assessing the work area to identify any hazards that can cause accidents. It is essential to ensure there are no loose, damaged, or faulty parts of the equipment, and that the surrounding environment is free of hazards. A quick, five-minute risk assessment at ground level could be all it takes to prevent an injury, or worse. Falls are one of the top causes of accidents involving large equipment, and certain aerial lift and scissor lift safety tips need to be considered to prevent workers from falling and getting injured or killed. Scissor lift training also teaches workers how to perform a thorough assessment of the surrounding environment to check for any red flags. Scissor lift safety tips come into play not only when inspecting the equipment, but also the work area because you truly can never be too careful. Even if the work zone has already been deemed as safe, it is each worker’s responsibility to perform their own inspections to confirm their safety. The best way to prevent accidents is to ensure workers are properly trained with scissor lift certification and understand all scissor lift safety tips and practices. This specialized education is the most effective way to prevent accidents that lead to injuries, fatalities, and costly equipment damage because it teaches all of the essential scissor lift safety tips, including how to operate a scissor lift, how to recognize and avoid hazards, and how to inspect the equipment and surrounding environment. Employers can do their part to reduce accidents by providing the comprehensive, OSHA-compliant scissor lift training workers need, and operators can create a safe working environment by following all protocols taught in training. In addition to preventing worksite accidents, scissor lift training that includes scissor lift safety tips can also prevent costly equipment damage, and can improve a company’s bottom line. Scissor lift training can boost the productivity of a workplace, by properly preparing workers to handle their duties and avoid expensive mistakes and an inefficient working pace. Scissor lift safety is everybody’s responsibility. OSHA regulations state that aerial and scissor lift operators must complete their initial scissor lift certification training before being allowed to operate, and must be recertified every three years. At CertifyMeOnline.net, we offer scissor lift safety training for new operators. The program costs only $75 and takes only about one hour to complete from any device with the internet. Why leave it that long? Refresher training at CertifyMeOnline is quick, easy and affordable as well. 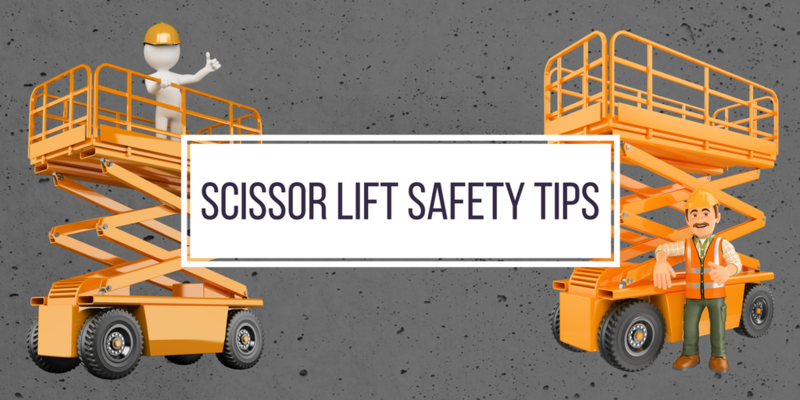 Learn all of the vital scissor lift safety tips today to protect your life on the job! This entry was posted in Aerial Lift Training on February 18, 2014 by admin.